Before becoming an offshore DJ, Paul was a listener - and a fan. The photos below date from long before his radio career started. They are from mid-July 1967 when a then 15 year old Paul went out on a day-trip from Clacton on board the Viking Saga to see the Radio London and Radio Caroline South ships. 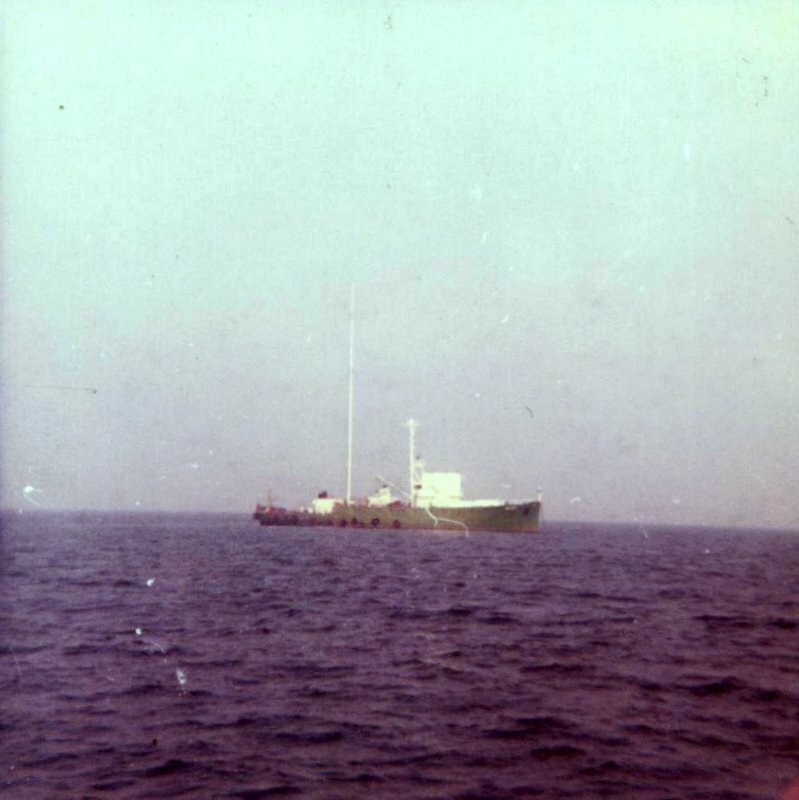 Radio London's mv Galaxy, then painted green. 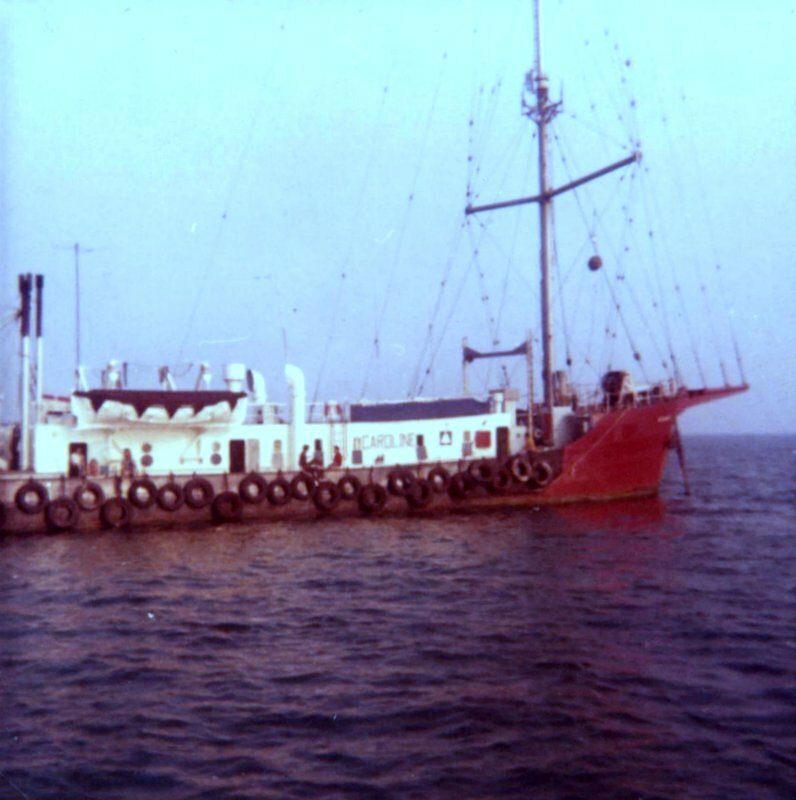 The mv Mi Amigo, home of Radio Caroline South. In January 2016 Paul got in touch with The Pirate Radio Hall of Fame: “This is a picture I found some time ago in a local emporium. It shows the mv Cheeta II on the River Stour during summer 1966. I'm afraid I have no idea who took it.” Our thanks to Paul for passing it on. 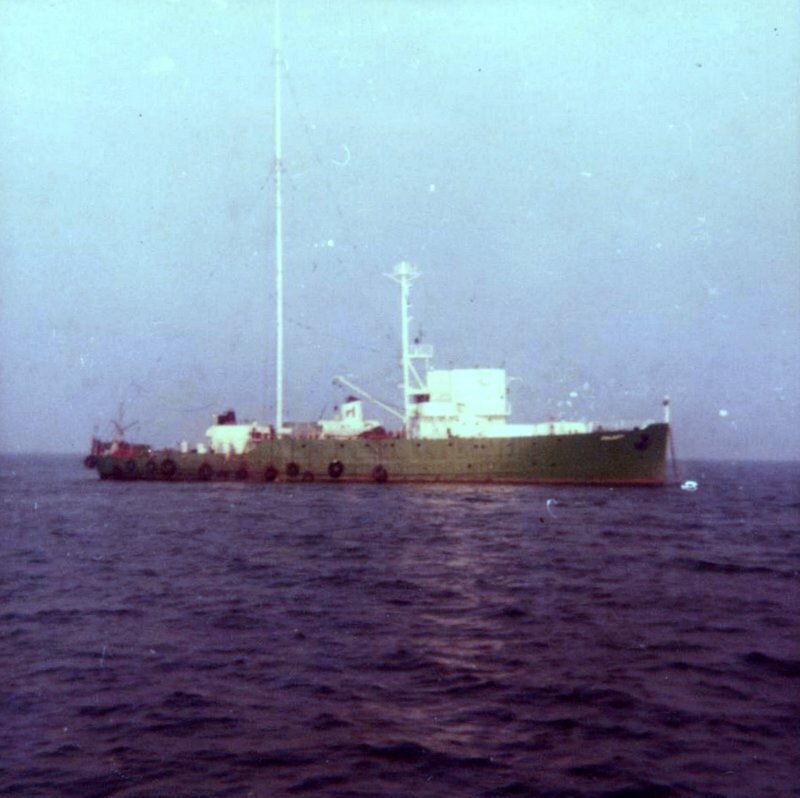 The Cheeta II was used by Radio Mercur, off Denmark, Radio Syd, off Sweden, and was the temporary home of Radio Caroline South after the Mi Amigo was grounded in 1966. 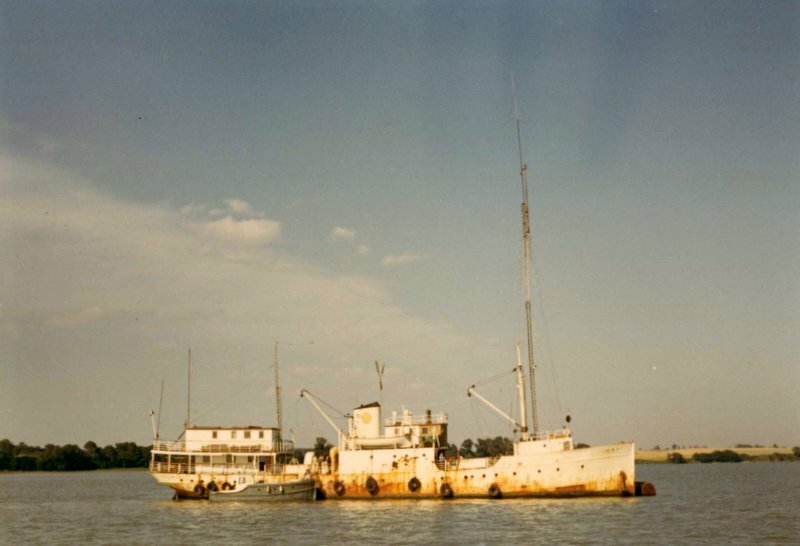 The ship ended its days in the Gambia. 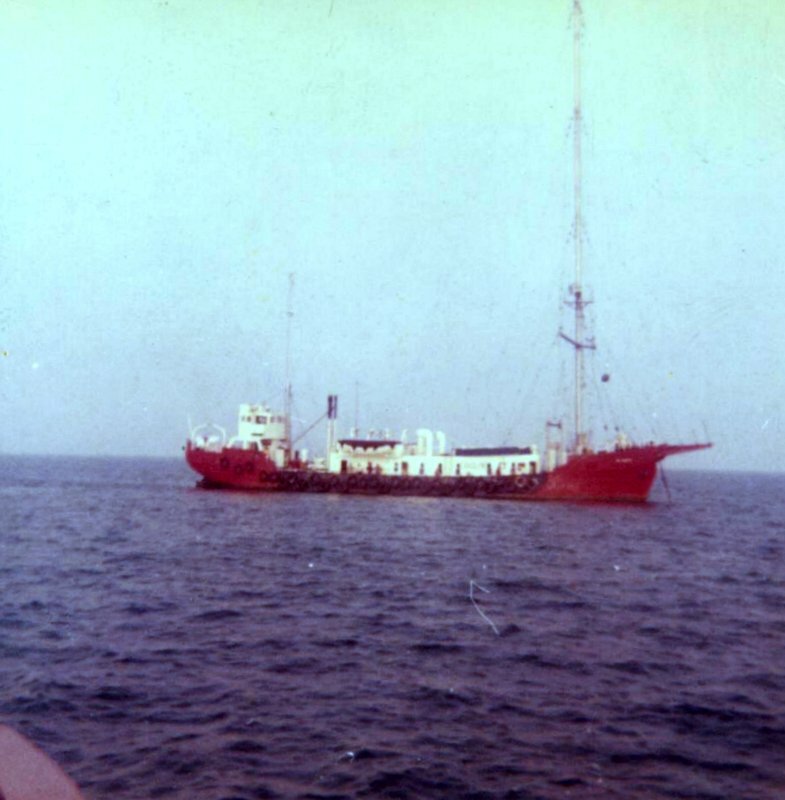 Paul has very kindly shared a photo of another historic radio ship with The Pirate Radio Hall of Fame. Unfortunately this one never made it onto the air. The Lady Dixon was a former Irish lightship, previously known as the Cormorant, which was acquired by a Canadian, Arnold Swanson, in 1962. He planned to launch a station called GB-OK from the vessel. If he had succeeded, it would have been the UK's first offshore station but sadly the project failed. Paul says: “This is a press picture I obtained of the Lady Dixon, presumably at the Pitsea berth in summer 1962. 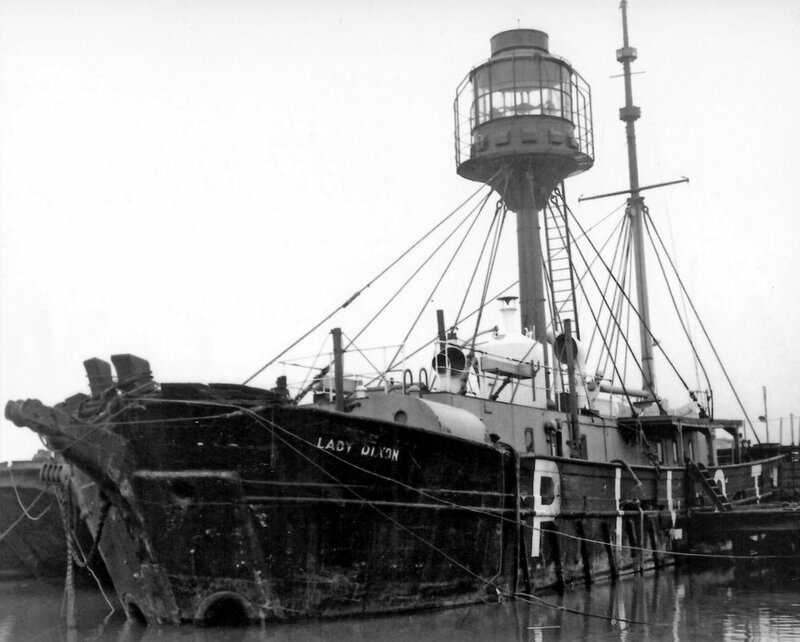 The GPO visited the vessel when it moved to Sheerness and confiscated the 5 kilowatt transmitter, putting an end to the project. They had broken a section of the 1949 Wireless Telegraphy Act by installing a transmitter without a licence.” Many thanks to Paul for the photo. We believe the ship is still around. There is recent correspondence on the Ships Nostalgia forum, discussing its renovation. There is more about GB-OK here. Back to the previous page of Paul's photos.